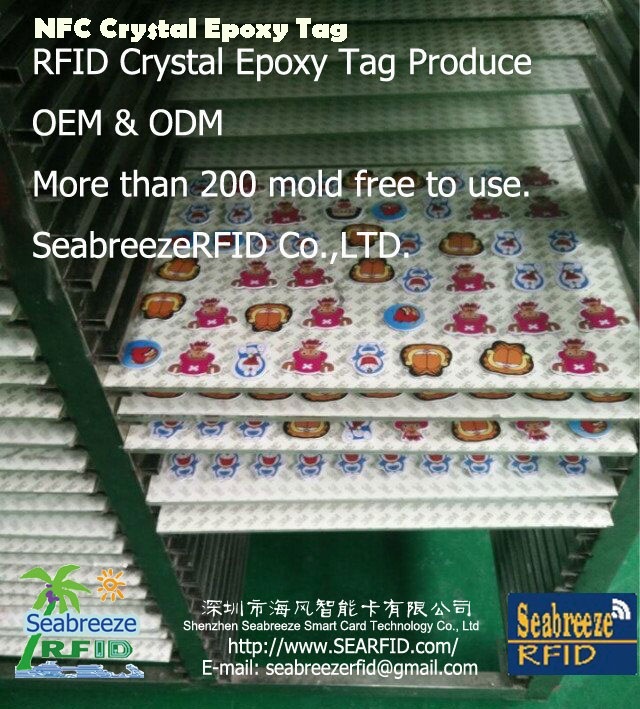 Crystal Epoxy Tag using a variety of materials printed surface is made of imported crystal epoxy. Anti-dust and waterproof. No foam. Transparent as glass. Good three-dimensional, any pattern can be customized. Can be produced according to customers' different requirements of various cartoon shapes, colorful, vivid, is the ideal choice for business promotion activities. 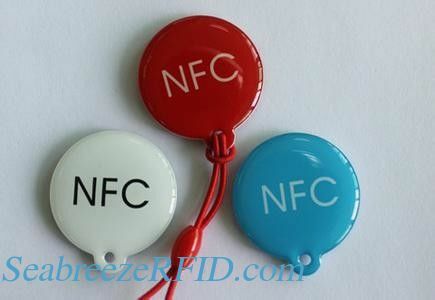 Easy to carry, beautiful, durable, waterproof, easy to wear. 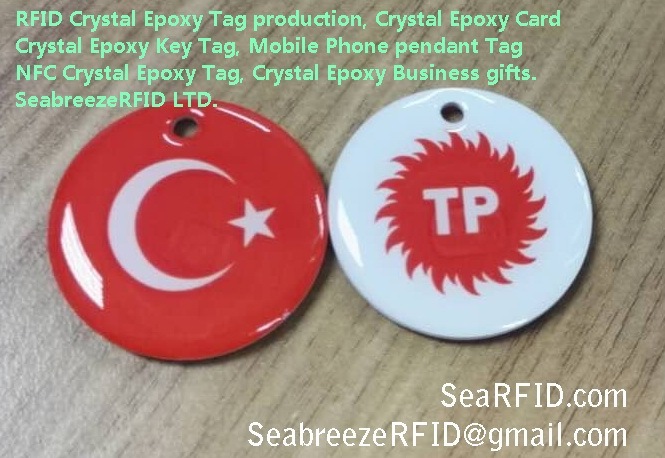 Can produce offset printing or silk screen LOGO or picture, number ( gold, silver, red, yellow, black ), laser codes, two-dimensional code, sculpture codes and other technology. 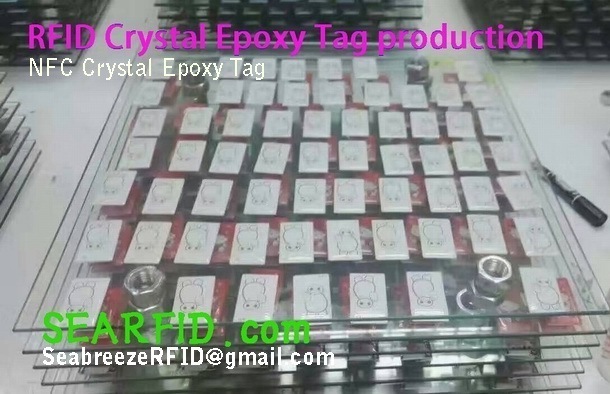 EM4100, EM4102, TK4100, EM4305, MF 1K S50, MF 4K S70, ULtralight, T5577, NTAG203, Alien H3,etc. 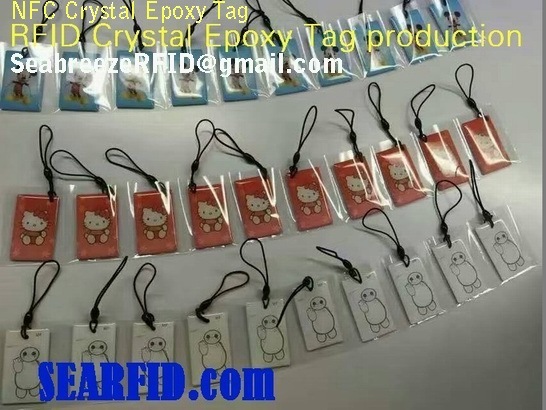 RFID chip EM4100, EM4102, TK4100, EM4305, MF 1K S50, MF 4K S70, Ultralight, T5577, NTAG203, Alien H3,etc.